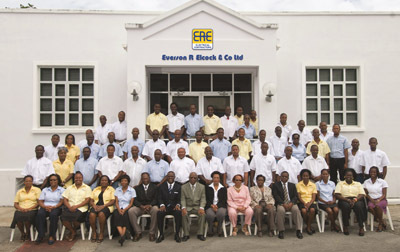 Everson R. Elcock & Co. Ltd. (“ERECO”) was established in 1960 and incorporated as Everson R. Elcock & Co. Ltd in 1973. The Company has enjoyed tremendous growth since its founding. A growth that has translated into an enviable record of accomplishment and an unparalleled reputation of being Barbados’ leading provider of electrical contracting and design services. ERECO is a firm without geographical boundaries. For over fifty (50) years the Company has been quietly placing its stamp on many large government, commercial and private buildings in Barbados and various Caribbean countries such as St. Vincent, Montserrat and Guyana.